Escape to the Southern Adirondack mountains. With Posh Primitive, glamping means you don’t have to rough it! 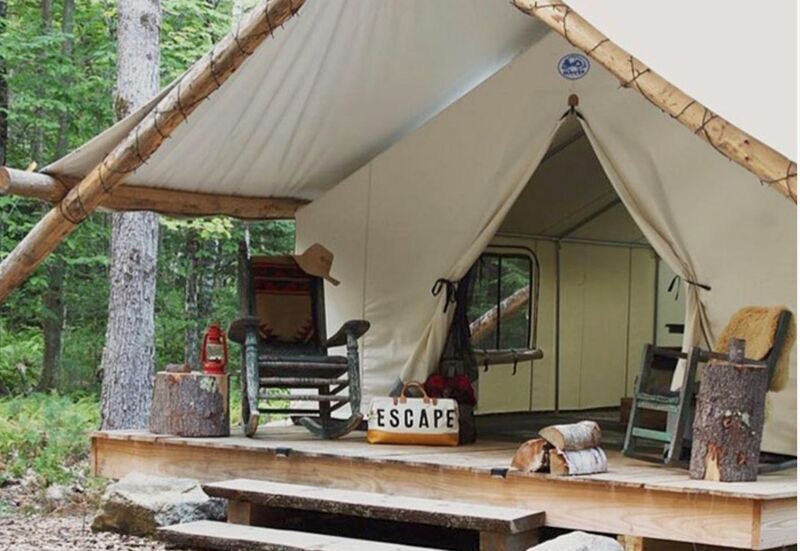 The custom made canvas walled tents with log accents come equipped with queen sized mattresses, linens, comforters and wool blankets and are decorated with antiques and locally made furnishings. A wood burning stove will keep you toasty warm in the evenings, and the outdoor fire pit invite smores and relaxation. The area is ripe with activities from whitewater rafting to hiking to mountain biking. Plus, an on-site guide service is ready to design an itinerary to meet your needs. Check out Posh Primitive and get away from it all in comfort! Keely's Camp: Ski Portillo with the Ladies!